TonerGreen Now Offers Canon GPR-11 BK Toner Cartridge for Canon Laser ImageRunner C2620 | TonerGreen - Eco-Friendly Toners from the U.S.
TonerGreen is an eco-friendly printer supplies retailer that has been providing environmental responsible printing solutions since April 2009. 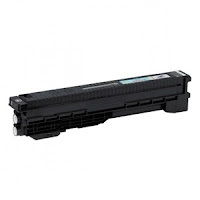 Our main product line includes U.S.-made remanufactured toner cartridges and remanufactured inkjet cartridges that are highly compatible to replace printer cartridges in printers under popular brand names like Canon. TonerGreen offers a wide selection of eco-friendly remanufactured Canon toner cartridges for BJ Series, BJC Series, Faxphone, FC Series, iSeries, ImageClass, LaserClass, MultiPass, PC Series and PIXMA. And for this week, TonerGreen announced to add up another product to our extensive collection of Canon toner cartridges and printer supplies, the Canon GPR-11 BK Toner Cartridge ($72.99) for Canon Laser ImageRunner C2620, ImageRunner C3200 and ImageRunner C3200. Our eco-friendly remanufactured anon GPR-11 BK Toner Cartridge is composed of up to 75% recycled components but went into strict remanufacturing processes and quality test to ensure that they will work perfectly with your Canon Laser ImageRunner printers. TonerGreen Canon GPR-36 Color Toners is thoroughly engineered to meet or exceed OEM specifications. All our ink and toner cartridges are backed by 100% Risk-Free Guarantee. Experience ultimate Eco-Value when you purchase our remanufactured Canon GPR-36 Color Toners: practical environmental solution, world-class service, and the highest quality Toner Cartridge at the most competitive price. Our Toner Cartridges are 100% Made in the US. Our factory is supervised by engineers and experienced technicians who are on-hand to monitor the effectiveness of the remanufacturing process. Furthermore, each TonerGreen Toner Cartridge is tested for output quality. TonerGreen is driven by our steadfast commitment to consumer satisfaction. We deploy substantial resources in ensuring the sustainability and durability of our Toner Cartridges. Each Toner Cartridge comes with 2 Year warranty. Moreover, we assure you that using our Toner Cartridge will NOT void your printer warranty.